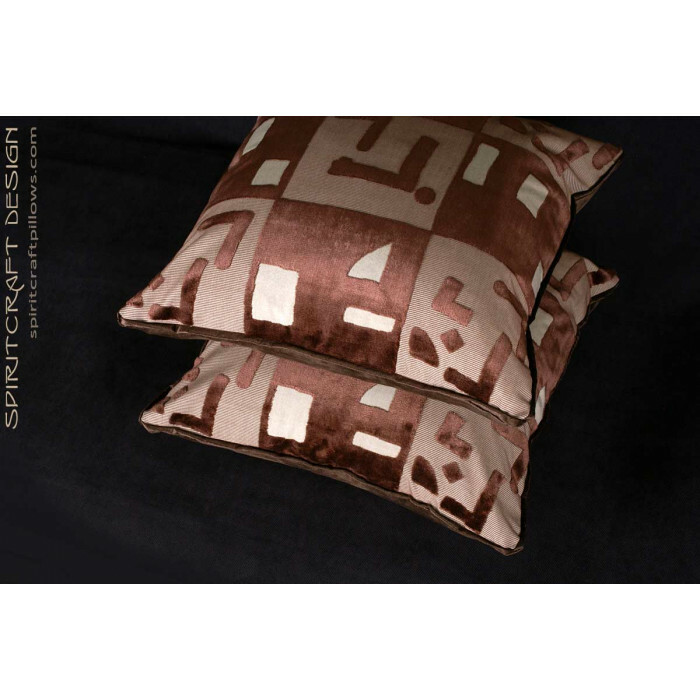 The facing fabric is an exquisitely crafted Beacon Hill - Robert Allen Cut Velvet in Bronze which is an exceptionally crafted velvet fabric from Italy. 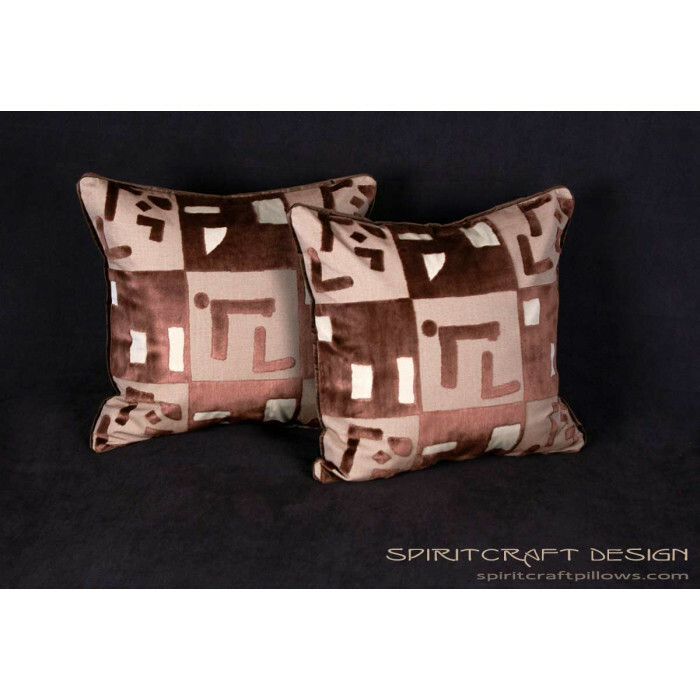 This velvet fabric, Abstract, is at home in any decor and will certainly enhance your personal interior design scheme. 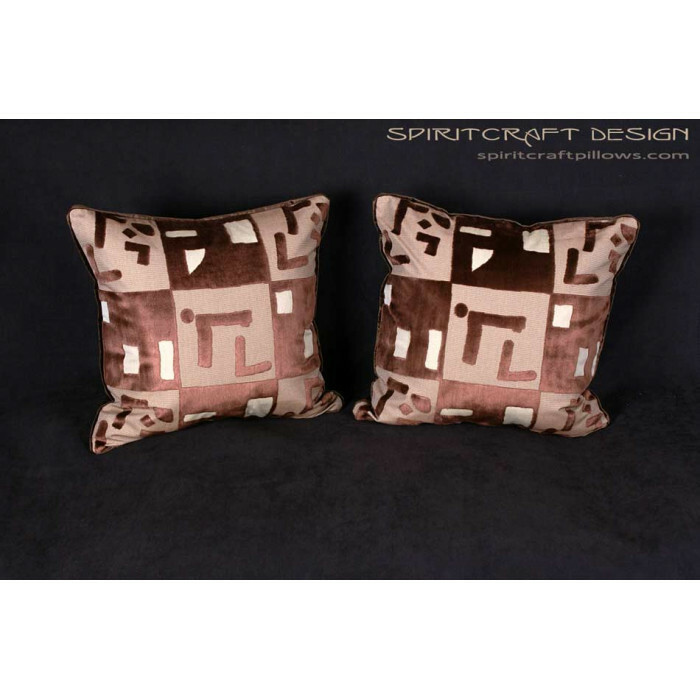 Pillow Size: 18" by 18"
Exceptional decorative pillows in a transitional style from two distinctive and exceptional velvet fabrics. 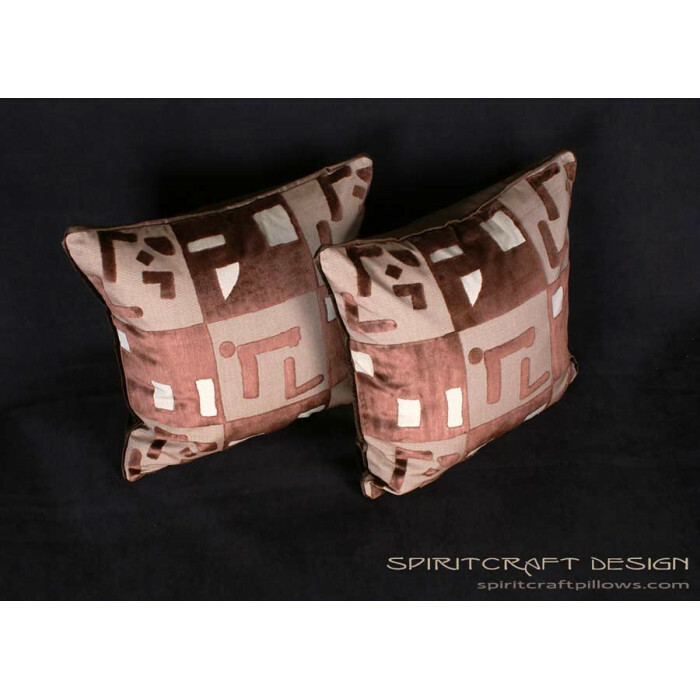 Discover Decorative Designer Pillows from Spiritcraft Decorative Pillows for traditional, contemporary and elegant home decor.